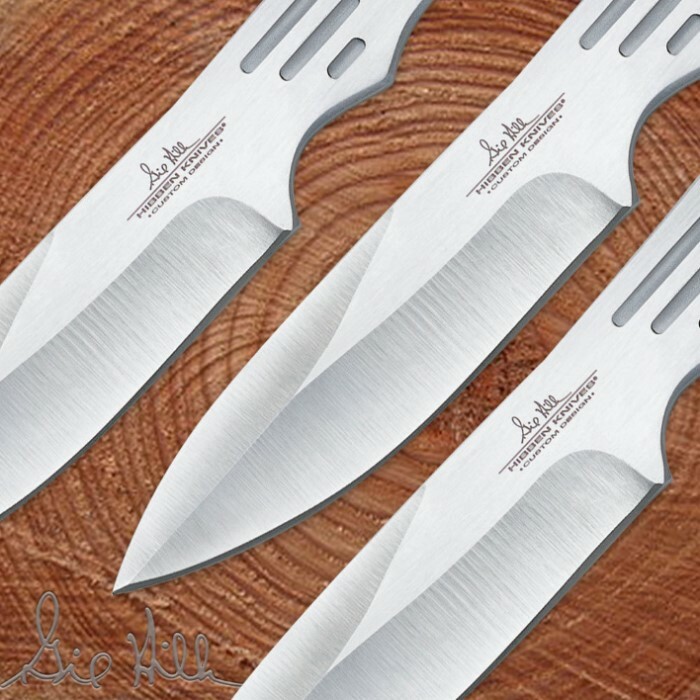 Gil Hibben Triple Throwing Knife Set Overall | BUDK.com - Knives & Swords At The Lowest Prices! All I have to say is that these are the most awesome small knives, they seem to throw themselves. If you are a beginner, especially if you can only afford one set, spend the extra $10 or $15 you would spend on a cheep set and get these. I own around 15 sets of throwing knives, and if I could only have one set without a doubt it would be a Hibbens set. I started out with small(7 1/2") knives. I found it was really easy to go from small to big, not so sure if the same is true the other way around. Would not recommend anything smaller than 7 inches. these are ok knives. extremely off balance and do not fly right. I WAS USING ... a large 10 inch knife for the past 2 years and got very proficient. I now use these and would like a bucket of them. I use them everyday. I have lost a whole lot of weight with the exercise. I have Yoga-like flexibility with my body in some respects. My spiritual growth has been exponential since learning this art and combining it with aikido, hapkido, judo, and karate styles and bjj. I SHOOT TARGETS FROM BEHIND BARRIERS LIKE A DELTA FORCE COMMANDO TAKING DOWN A HOSTAGE TAKER IN MY BACKYARD DAILY FOR PHYSICAL FITNESS & Cardiovascular Health. I recently purchased these throwing knives and I must say the are nice knives. They're not Sharp but not dull and very well balanced. I enjoy them very much. 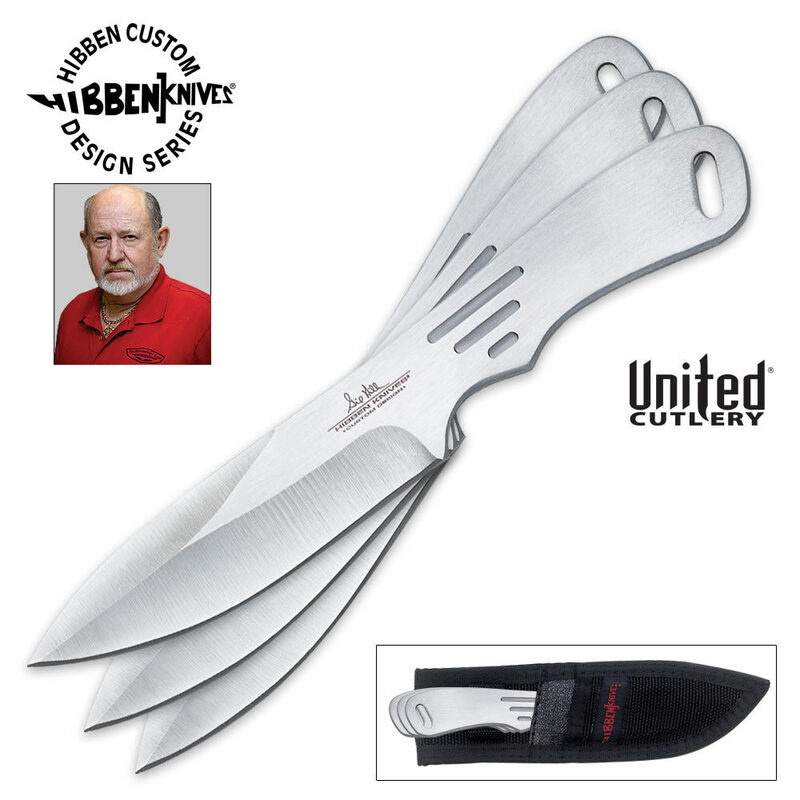 I would recommend these knives to anyone.